There are many biographies detailing the young life of C.S. Lewis. The general impression is that he was particularly close to his mother, but she passed away of cancer when Lewis was only nine. Also widely acknowledged is that Jack Lewis had a contentious relationship with his father. In today’s post, we will examine the Collected Letters, as well as other various texts, to explore these individuals in greater detail. The life of Flora Lewis was the inaugural post for my Women and Lewis series (in 2013) which you can read here. Today’s post will include more general information about Flora. For more specific reading on how Flora influenced Jack, check out the chapter that I contributed to the book Women and C.S. Lewis. “Mother Hubbard, you see, was old; there being no mention of others, we may presume she was a lone, a widow – a friendless, old, solitary widow. Yet did she despair? Did she sit down and weep, or read a novel, or wring her hands? No. She went to the cupboard, and here observe, she WENT to the cupboard, she did not hop or skip or run or jump, or use any other peripatetic artifice; she solely and merely WENT to the cupboard. Flora and Albert had a happy marriage. Jack writes in Surprised by Joy that he had “good parents.” Flora often took her children to the sea to escape the damp Belfast climate. She would encourage them to be curious, to strongly develop their intellects by teaching Latin and French, as well as teaching them to play chess. 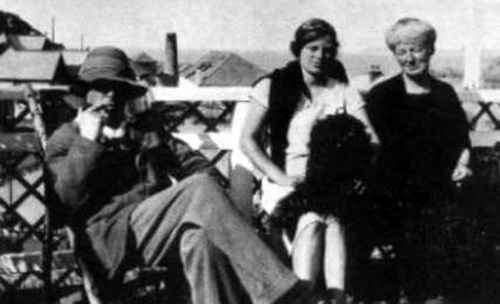 Warren Lewis writes that these trips were “the highlight of our year” yet they were rarely joined by their father: “Urgent business was his excuse – he was a solicitor…I never met a man more wedded to a dull routine, or less capable of extracting enjoyment from life…I can still see him on his occasional visits to the seaside, walking moodily up and down the beach, hands in trouser pockets, eyes on the ground, every now and then giving a heartrending yawn and pulling out his watch” (Letters of C.S. Lewis, 16). As many know, Flora would later develop abdominal cancer. Her first surgery in February of 1908 was performed on the dinner table at Little Lea. Flora had been sick with headaches and had become exceptionally weak for some time. Jack remembers having a toothache and that he was told his mother “couldn’t come” to him (this was not necessarily during the surgery, but during the darkest depths of her illness). Flora rallied for a few months, but the second surgery revealed that the cancer had worsened. Albert lovingly attended her sickbed. 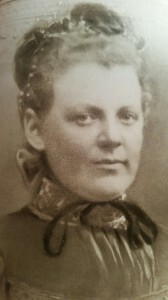 Her final words, in response to a comment on the goodness of God were, “What have we done for Him?” Flora died on Albert’s birthday – 23 August 1908. Flora’s academic and spiritual influence is evident. Certainly her loss echoed throughout Jack’s adult life, but the lessons she taught, and the love she gave, made a deep impression on him. We now know where Lewis inherited his penchant for logic! Now, we will move on to the Lewis patriarch – a compelling and controversial figure – who, I argue, shaped Lewis in various ways. His death also left a lasting impression on his sons, but the death was experienced with a mixture of conflicting emotions. *”At home the real separation and apparent cordiality between my father and myself continued. Every holidays I came back from Kirk with my thoughts and my speech a little clearer, and this made it progressively less possible to have any real conversation with my father. I was far too young and raw to appreciate the other side of the account, to weight the rich (if vague) fertility, the generosity and humor of my father’s mind against the dryness, the rather death-like lucidity, of Kirk’s. With the cruelty of youth I allowed myself to be irritated by traits in my father which, in other elderly men, I have since regarded as lovable foibles. There were so many unbridgeable misunderstandings (ibid, 160-161). Indeed, Joan Murphy, a cousin of Jack, spoke about the fact that Albert seemed to suffer from control issues. In a speech to the Oxford C.S. Lewis Society, she stated, “Uncle Al was a very dominant man…[he] was a man who, I think, had no idea how to deal with young people. Uncle Al died in 1929, and that is my first real memory of Jacks…When Uncle Al’s funeral was over, all the family had come. Brothers and aunts from Scotland – the lot – came to our house, because they were all going to go to the boat, and Uncle Bill went out of the room for something and apparently I said, ‘Well, I’m glad that old man is gone because he was horrid,’ I can remember Jacks picking me up and putting me on his knee saying, ‘Out of the mouths of babes and sucklings comes the truth’” (C.S. Lewis and His Circle – White, Wolfe, and Wolfe, 171). Long story short: the relationship is rather complicated. “In reading the correspondence which follows, it is easy to see that both his sons must have grown up with an inarticulate resentment against a treatment whose injustice their immaturity prevented them from defining. It was not only that Albert did not understand boys – “he was born old” as his brother in law once said of him – it was that his correspondence forces one to the conclusion that he had not only defined in advance what should be his attitude towards his sons, but had also defined what should be their attitude towards him. Once again we see the clash between the shifting, expanding point of view of youth, and that apparently ineradicable mid-Victorian tendency to regard children not only as static, but actually as a portion – a detached residence as it were – of their parents’ ego” (II. 65 – from the Introduction of “The Pudaita Pie: An Anthology”). Why such a division of opinion? Volume 1 of the Collected Letters reveals that Jack kept a secret from his father for years: the fact that he was living with, and helping to support, a divorcee and her daughter. This, of course, continued without fail when Jack truly did have something to conceal: the fact that he was living with and supporting, a woman and her daughter on his meager income after the war. Jack had trained alongside Paddy Moore at Oxford. Both of Irish descent with similar personalities, the two had become great friends but Paddy would not survive the war; he died at the Battle of Pargny as one of the “first to go” of Jack’s training unit. 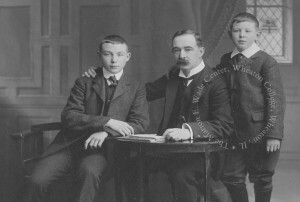 It is widely known that Jack and Paddy exchanged promises to “look after” the parent of the other if he did not survive. While this is admirable, Jack become rather fixated on Mrs. Moore and even spent furlough with her instead of returning home to see his father. Jack essentially moved in with Paddy’s family and remained that way until Mrs. Moore’s death (The Kilms was jointly purchased by the Moores and Jack). Warnie learned of the domestic arrangement after a visit. Warnie didn’t like Mrs. Moore, but felt that, with the vast difference in their age, there was no possibility for a romantic attachment. 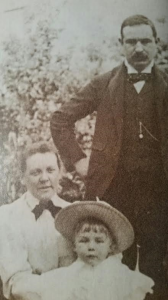 For this post, I will not go into details about Mrs. Moore (she already has a Lewis and Women post here), but I wish to underscore that Albert was exceedingly generous during Jack’s young life. Not only did he finance Jack’s personal tutelage with Kirkpatrick, he wrote letters to prominent people in order for Jack to avoid conscription during World War I. Albert also financed the three firsts that Jack eventually achieved. Jack earned a scholarship awarding £80 a term, with tuition costs at £60. In addition, Albert was providing £67 plus expenses. However, Jack was always writing and requesting money. Many of his student letters to his father begin with, “My dear Papy, thank you for the _____________.” Albert was becoming suspicious that so much of Jack’s money was evaporating, and he suspected that Mrs. Moore may be contributing to the problem. Albert had every right to be concerned; he felt that this fly-by-night divorcee was taking advantage of his son. Some of the letters, and the diary, show a rather strange and unorthodox attachment to her, a woman nearly thirty years his senior. Albert was too coy to approach the topic with his son, but he did bring up the constant financial distress which plagued Jack at Oxford. 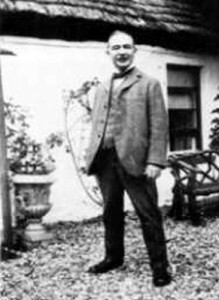 In his diary, Albert wrote, “Wrote Jacks a long letter in reply to one from him asking for an increased allowance: ‘What I [should] know where I am and what I must provide for. If instead of lodging £67 a term to your account I lodged £85 a term to cover everything, would that be sufficient? You must be quite frank with me…” (LP, VIII, 186). “I have during the past four weeks passed through one of the most miserable periods of my life – in many respect the most miserable. It began with the estrangement from Jacks. On 6 August he deceived me and said terrible, insulting, and despising things to me. God help me! That all my love and devotion and self-sacrifice should have come to this – that ‘he doesn’t respect me. That he doesn’t trust me, and cared for me in a way.’ He has one cause of complaint against me I admit – that I did not visit him while he was in hospital [during wartime convalescence after the Battle of Arras]. I should have sacrificed everything to do so and had he not been comfortable and making good progress I should have done so. The other troubles and anxieties which have come upon me can be faced by courage, endurance, and self-denial. The loss of Jacks’ affection, if it be permanent, is irreparable and leaves me very miserable and heart sore” (CL, I, 402). Slowly, Albert and Jack began to restore their relationship. 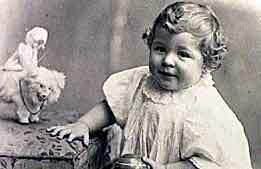 Jack still couldn’t quite understand his father, but in between 1922 and 1924, Warnie and Jack began to collect the sayings or “wheezes” uttered by Albert. This shows some appreciation – even if through satire – of their father’s robust personality. 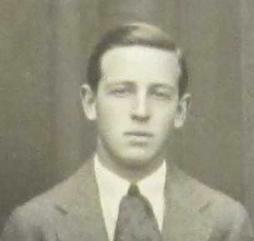 Jack tarried for several years grading examination papers while waiting for an opening at Oxford. He attempted to apply for teaching positions at various schools, but each opportunity seemed to dissipate. Jack struggled to keep the household afloat on his small income, subsidized greatly (and secretly) by Albert’s continual support. Albert supported Jack even after his scholarship expired. Jack completed his final first in English thanks to the generous support of his father. This accomplishment, along with his background in philosophy, helped to earn his spot as a tutor. Albert received a telegram on 20 May 1925 from Jack exclaiming that he was elected as a fellow at Magdalen (and finally financially secure). Albert wrote in his diary: “I went up to his room and burst into tears of joy. I knelt down and thanked God with a full heart. My prayers had been heard and answered” (CL, I, 640). “First, let me thank you from the bottom of my heart for the generous support, extended over six years, which alone has enabled me to hang on till this. In this long course, I have seen men at least my equal in ability and qualifications fall out for the lack of it. ‘How can I afford to wait’ was everybody’s question: and few had those at their back who were both able and willing to keep them in the field so long” (CL, I, 642). Four years later, Jack tended to the bedside of his ailing father, sick with cancer. Albert’s endured treatment and an operation which Jack said he “is taking it like a hero” (CL 819). Jack laments that the “watercloset [toilet] element in his conversation rose from its usual 30% to something nearly like 100%” (CL 808). Jack was doing all of the heavy lifting during Albert’s illness (Warnie was in China on assignment), which caused him great frustration at times. Like when he was a boy, Jack felt like his father was crowding him, desperately trying to win his affection and nurse old wounds while Jack continued to feed his bitter resentments. Jack writes to Warnie, “The patient is rather better…Another thing almost too good to be true is that someone in town advised him, as a cure for rheumatism, to carry a pudaita ["Pudaitabird" was the boys' nickname for Albert, stemming from his low Irish pronunciation of "potato"] in each pocket – which he actually tried. Oh, and another interesting thing, he was talking as often, about the insolence of Uncle Hamilton [Flora's brother Augustus] and said, ‘You know, what I don’t like about Gussie is that he never says these desperately insolent things when we’re alone. It’s always to raise a laugh from you boys at my expense.’ I wonder does he regard ‘that fellow Gussie’ as the origin of the whole anti-Pudaita tradition” (CL, I, 817). Albert’s temperature (and temper) fluctuated much to Jack’s dismay. Jack found Little Lea rather suffocating, as he did when he was a young boy under the domestic tyranny of a “bossy” father. 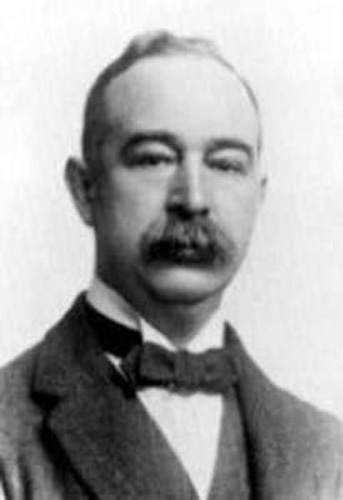 Jack was assured that Albert would continue to improve, and left to tend to Oxford business on 21 September 1929. Three days later, Jack received a telegram stating that his father had taken a turn for the worst. Jack immediately began his return journey, but Albert died before he arrived on 25 September of cardiac arrest. Although Jack admits to Barfield that he couldn’t salvage any real love for Albert during his illness (CL 820), Albert’s death leaves an indelible mark on him. The quiet house, the empty rooms devoid of the “booming” voice, the stacks of unread tomes, the tangled garden – all of these attested to the death of the patriarch. Jack wrote to Warnie: “How he filled a room! How hard it was to realise that physically he was not a very big man. our whole world…is either direct or indirect testimony to the same effect. Take away from our conversation all that is imitation and parody (sincerest witness in the world) of his, and how little is left. The way we enjoyed going to Leeborough [Little Lea] and the way we hated it, and the way we enjoyed hating it as you say, one can’t grasp that that is over. And now you could do anything on earth you cared to in the study at midday or on a Sunday, and it is beastly” (CL, I, 827). “Limpopo [Uncle Bill] – and even Limpopo came as a relief in such an atmosphere – put an end to this vulgarity by saying in his deepest bass ‘What’s been used before, huh? There must be some tradition about the thing. What has the custom been in the family, eh?’ And then I suddenly saw, what I’d never seen before: that to them family traditions – the square sheet, the two thirty dinner, the gigantic overcoat – were what school and college traditions are, I don’t say to me, but to most of our generation. It is so simple once you know it. How could it be otherwise in those large Victorian families with their intense vitality, when they had not been to public schools and when the family was actually the solidest institution they experienced? It puts a great many things in a more sympathetic light than I ever saw them in before” (CL, I, 847). In later years, Jack admitted that he felt horribly about the way he treated his father. He learned to appreciate Albert, all his chuckling and strange habits and rather domineering demeanor. Yet he was a man loved and respected. Jack wanted to please his father; Albert would be pleased with the contribution made by his sons. “The most interesting thing since I last wrote is a dream I had about my father…I was in the dining room at Little Lea, with all the gasses lit and talking to my father. I knew perfectly well that he had died, and presently put out my hand and touched him. He felt warm and solid. I said, ‘But of course this body must be only an appearance. You can’t really have a body now.’ He explained that it was only an appearance, and our conversation was cheerful and friendly, but not solemn or emotional, drifted off onto other topics. I then went over to fetch you [Arthur Greeves] and we came across together in a closed car. As we drove I told you of his return in order to prepare you for meeting him: and I think (tho’ this may be a waking intervention) that at that point I was looking forward to seeing him come to the door and say ‘Well Arthur’ and offer you your drink. We were exactly at that place where an increased crushing under the wheels tells you that you have passed off the cinders onto the gravel at the study corner: when you, in a voice of suppressed anxiety, said ‘Oh no, Jack. Its just that you’ve been thinking about him and you’ve imagined he’s there.’ Till that moment everything had been pleasant and homely: but suddenly , as your words made me see the whole adventure from outside, as I realised how it would sound if repeated that I had been TALKING TO A DEAD MAN, the thing wh[ich] had been SO normal in the experiencing it, rose up with such retrospective horror that the nightmare feeling flared up and I woke in terror” (CL, I, 937-938). “The hard thing is that (after childhood) parents seem usually to be most appreciated when they’re dead. I find so many terms of expression etc of my father’s coming out in me and like it now – I’d have fought against it as long as he was alive” (CL, III, 709-710).